How Did Dr. Farid Fata, America's Greatest Cancer Fraudster, Get Away With It For So Long? Poring through the post-mortem of the man federal prosecutors have called the most egregious fraudster in the history of the United States, it’s hard not to be shaken by the crimes of Dr. Farid Fata, the former hematologist and oncologist whose licenses have now been revoked. 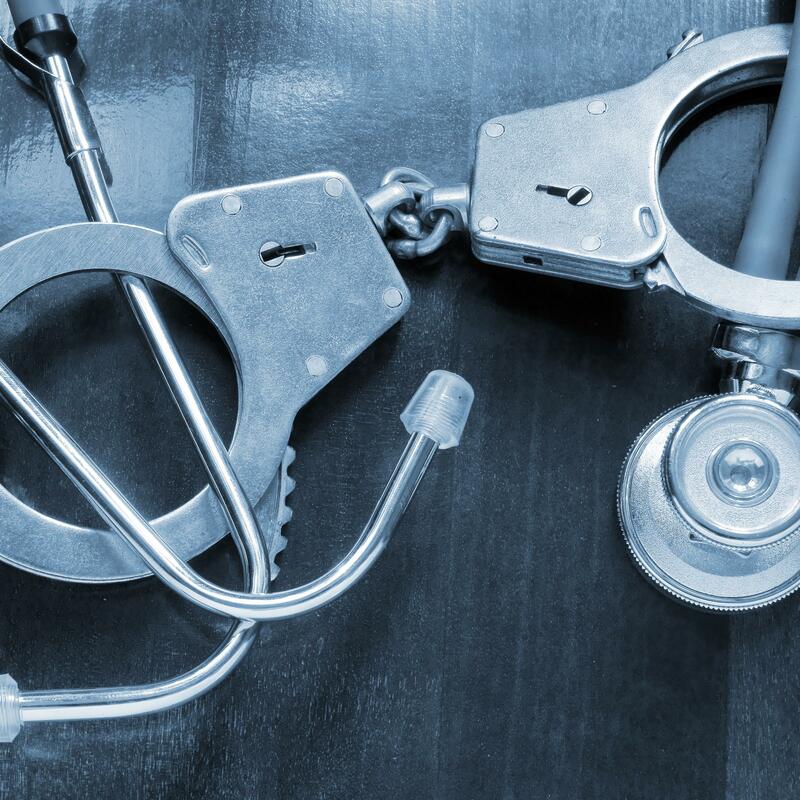 Once one of Michigan’s most respected doctors, with a sprawling practice across seven cities that had served over 16,000 patients since 2005, Fata was sentenced July 10 to 45 years in prison. Last September, he pleaded guilty or no contest to 23 counts of health care fraud, two counts of money laundering and one count of conspiracy to pay and receive kickbacks—but even all that fails to capture the depths of his evildoing. In anticipation of Fata’s sentencing hearing that began on July 6, the government released a 100-plus-page memorandum to the public in May, detailing what it discovered about his scheme to defraud Medicare and other insurers by exploiting patients. Federal prosecutors allege Fata intentionally prescribed over 9,000 unnecessary injections and infusions to at least 553 patients over a six-year span. These treatments amounted to nearly $35 million in insurance billings. Fata lied to patients about their cancer prognoses by claiming they needed chemotherapy when they simply needed observation; he hoodwinked others into the infusion chair by telling them that they had to receive “maintenance” chemo to stave off cancers already in remission; and perhaps most ghastly, he implored those he knew to be terminally ill to remain under his care as he pumped poison into their soon-to-be lifeless bodies. "These people came to Fata at the most vulnerable period of their lives and he violated their trust," said Brian McKeen, an attorney who is representing several of Fata’s former patients in pending civil court lawsuits filed against him. But it would be a mistake to look at Fata and see only a heartless and greedy monster. Like all great acts of depravity, Fata’s misdeeds were not performed in isolation. His actions, egregious as they were, are emblematic of systemic issues that have plagued the medical community since long before he ever completed his prestigious residency at the Memorial Sloan Kettering Cancer Center in 1999. According to Dr. Nicholas G. Evans, a medical ethicist and research fellow at the University of Pennsylvania, what makes Fata’s situation unique is the sheer scale of the corruption displayed, not the corruption itself. "It’s one of the most extensive cases of fraud I’ve heard of," Evans said. "But it involves common problems known about in the field of medical ethics." To step into an oncologist's office is to put your life in their hands. "Patients develop an almost religious connection to these doctors," said Jeffrey Stewart, an attorney who is representing two former clients of Fata, one of whom died prior to the criminal investigation and arrest of Fata in August of 2013. According to the testimony provided by Fata’s victims, the doctor repeatedly took advantage of these connections as well as fear in order to obscure the uselessness of his medical treatments. "He stated that [my mother] had a very aggressive cancer that would become untreatable if she stopped chemo and then he wouldn’t be able to save her," writes Michelle Mannarino, the daughter of a Fata patient, in an impact statement gathered by the prosecutorial team. "Several times when I had researched and questioned his treatment, he asked if I had fellowshipped at Sloan Kettering like he had." At seemingly every stage of cancer (including no cancer at all), Fata promised his patients that remission was 70 percent likely, but only if they were completely loyal to him. In one such incident, a terminally ill woman spent the last few moments of her life angry with her family for questioning the wisdom of declaring bankruptcy in order to continue paying for Fata’s care. “She kept putting things off thinking that she would have time ‘when she got better’...[our mother] was never able to accept that she was dying because Fata convinced her she was not,” the family’s impact statement writes. Fata also bamboozled patients into receiving added doses of the immunosuppressive drug rituximab even after they were successfully treated for their lymphoma — in some instances, for as long as three extra years and 76 unneeded doses. By the time Fata was arrested, their immune systems had been permanently devastated. Others were left with decaying jaws and never ending bouts of intense pain by the bone cancer-fighting drug Zometa. He deflected suspicion from the rituximab patients and medical staff by claiming that it was a part of a revolutionary “European” or “French” protocol, even going so far as to forge a medical paper after his arrest that supposedly proved the value of sustained rituximab use. Elsewhere, he kept a tight leash on information by denying patients access to their full medical files — important for seeking a second opinion — and he demanded that other physicians stay in constant contact with him when they took care of his patients during rounding duties at the seven hospitals he had admitting privileges at, while sharing little about his own treatment plans. Angela Swantek, a nurse who had exclusively worked in oncology for the past 19 years, went in for what she thought would be a routine job interview with Fata in the early spring of 2010. By the end of it, she left dismayed over the medical care she saw administered to patients. “It was just one thing after another,” she told The Detroit News. Swantek, after a first day of interviewing, returned later in the week to one of Fata’s offices to observe a nurse during her rounds. Before long, she saw people hooked up to infusion chairs being slowly pumped full of drugs that were meant to be given via a quick injection into an IV, and other treatments like Neulasta, a human growth factor, being given immediately after chemotherapy, instead of after 24 hours as recommended. Any trained professional should have instantly seen these procedures as inappropriate and even dangerous, yet when Swantek brought it up, all she got from the nurse on staff was indifference. "That’s just the way we do things here," she recalled being told to Medical Daily. Swantek reported her suspicions to the Bureau of Health Professions that March. "I feel this physician is doing more harm than good to his patients and needs to be investigated by the State, OSHA [Occupational Health and Safety Administration], Medicare, and BCBS [Blue Cross Blue Shield]," she wrote. More than a year later, in May of 2011, she received a letter from the state-run Department of Licensing and Regulatory Affairs (LARA, which manages the Bureau of Health Professions) telling her that an investigation had cleared Fata of any wrongdoing. But, Swantek told Medical Daily, the state never actually reached out to her. LARA maintains that it interviewed Swantek and conducted their probe to the best of their ability, but attempts by Swantek and The Detroit News to obtain the file of the investigation were denied, with the state claiming it could not release any information due to built-in privacy laws surrounding the state investigation of a medical professional. That obliqueness is baked into every layer of self-regulation within the medical field, McKeen noted. He cited the practice of medical peer review, which allows professional organizations like the American Medical Association and hospitals to conduct internal reviews of their members and staff without the possibility of scrutiny. In Michigan, even though reports conducted by a review entity, such as the AMA, can be released to the public, they are, by state law, under no circumstances allowed to reveal the identity of anyone involved in the investigation. That information also cannot be disclosed to lawyers like McKeen who seek to demonstrate a pattern of negligence by a specific medical professional. The policy is ostensibly meant to safeguard those who seek to report other doctors from retribution or liability, but it also means that the public has no way of knowing about a physician's past brushes with negligence. None of the patients who entered into Fata’s care could ever have been made aware of the 2010 allegations against him, or if the state was indeed justified in finding him free of wrongdoing. It also means that any third-party attempts to verify whether an institution actually did their due diligence in investigating a medical professional will be virtually impossible. Meanwhile, there is a scant amount of resources and manpower available to investigate medical negligence, both at the institutional and state government level. "There’s really no medical police around to catch corruption," Evans said. "It often takes a whistleblower." As the prosecutors noted in their memo, several nurses and doctors of Fata’s practice knew enough to begin actively working around his methods. One nurse defied his orders and released full medical files to his patients; employees would question the unofficial policy of routinely scheduling iron transfusions before any lab work indicating their need had been performed; and at least one doctor was reluctant to ever provide referrals to an inadequate hospice care agency that bribed Fata in exchange for recommendations. Some even resigned or found other jobs in order to avoid working with him, but many did what was asked of them or turned a blind eye. As reported by Laura Berman of The Detroit News, one of these employees, Dr. Soe Maunglay, eventually reached their breaking point in July 2013. For the previous 11 months, Maunglay had been working for Fata’s practice, Michigan Hematology Oncology (MHO), and from the very beginning, their relationship had been rocky. Fata assigned Maunglay to a location and hours that kept him far away from his own patients when Maunglay requested that a physician be present anytime a patient was undergoing chemotherapy soon after he arrived. And his suspicions further developed after he caught Fata lying about MHO having already obtained certification from the Quality Oncology Practice Initiative (QOPI) program when it actually hadn’t. His growing frustration with Fata led him to tender his resignation for that upcoming August. Then, around the weekend of the 4th, Maunglay was looking in on patients at the Crittenton Hospital Cancer Center, where Fata operated a private clinic, when he came across Monica Flagg, who had broken her leg — only a few hours after she received the first of many planned and costly chemotherapy sessions. Looking at Flagg’s medical chart, Maunglay soon realized that Flagg was likely cancer-free, and later that weekend urged her to get a second opinion. Horrified by the incident, Maunglay began to look at Fata’s other patient files. He got in touch with George Karadsheh, MHO’s practice manager, about his concerns. Afterwards, Karadsheh formally reached out to the FBI with Maunglay’s findings, thus starting the cascade of events that would end in the FBI raiding Fata’s offices and arresting him. Perhaps the biggest reason Fata had gotten away with his crimes for years was the simplest one: He was too profitable to tattle on. According to the federal investigation, by the time Fata was apprehended, his practice purchased $45 million worth of drugs annually for a staff of three doctors — the median amount spent by a full time oncologist is between $1.5 to 1.9 million according to a 2015 report on oncology trends. He branched out with an in-house pharmacy, Vital Pharmacare; a radiation treatment center, Michigan Radiation Institute; a diagnostic testing facility, United Diagnostics; and his very own charity, Swan for Life. He accomplished this growth largely by treating his patients like they were actors at a cattle call, lining up 50 to 60 a day that he would hand off to unlicensed doctors (most of whom had obtained their medical degree in other countries) before spending 5 to 10 minutes at the end of each visit seeing them personally. Then, he would push for longer or unneeded treatments, overdose others so that he used up the entire container of medication he had billed for, and harangued the dying (when he couldn’t convince them to keep taking treatment) into using the hospice he had received kickback money from and others to only use the services of businesses he owned. Given the choice between making his patients healthier and making himself wealthier, Fata always chose the latter. Fata’s merciless profiteering was certainly at the extreme end of the spectrum, but Evans noted that it's a choice that many doctors make. "There are contradictory demands on the health care system," he said. Many doctors, even unknowingly, bend their treatment decisions towards making the most money possible. Rarely does this lead to outright fraud, but often it is enough to get in the way of the principal precept of bioethics: first, do no harm. In one of many examples, Evans cited a 2013 study from the New England Journal of Medicine which found that urologists who owned an intensity-modulated radiation therapy (IMRT) service, a cancer treatment with a high reimbursement rate, were more than twice as likely than urologists that didn’t own IMRT service to prescribe it to their patients. "The conclusion here is that ownership of expensive-to-access medical services constitutes an incentive to prescribe those services to patients, regardless of whether those patients would benefit more from that service than some other, cheaper therapy," he said. The expansion of Medicare’s Part D, which subsidizes prescription drug costs with federal dollars, has similarly incentivized doctors into running up the bill. A report conducted by the Department of Health and Human Services released last month found that Part D spending has more than doubled since its beginning in 2006, from $51.3 billion to $121.1 billion, and that more than 1,400 pharmacies had engaged in “questionable billing” for drugs available through Part D in 2014 alone. The potential for abuse grows when a medical practice becomes vertically integrated and starts owning or selling services tangentially related to their specialty, such as Fata’s did. Though he only owned United Diagnostics for a few months before his arrest, he endlessly pushed patients to delay obtaining PET scans until the building opened in July of 2013, enlisting staff members to lie to them about the lack of urgency for such a screening. At least one nurse went behind his back and gave out referrals to other diagnostic facilities, but by all indications, these underhanded acts drew no concern from any outside sources — nothing was noted by his suppliers, insurers, or the hospitals he had affiliations with. On July 10, 2015, the U.S. District Court for the Eastern District of Michigan sentenced Fata to 45 years in federal prison. Fata reportedly wept openly in court and apologized. "I misused my talents,” Fata said before sentencing “because of power and greed. My quest for power is self-destructive.” Later, he added that he was "horribly ashamed of my conduct" and prays for repentance. Fata also has agreed to forfeit $17.6 million. Referencing notorious frauds like Bernie Madoff, prosecutors said that because of the lifelong destruction he has inflicted on so many, only a commensurate sentence of life in prison could come close to enacting some degree of justice. At 50, Fata is likely to live out the rest of his life behind bars. But lawyers like McKeen and Stewart both noted that the potential money available to his former patients in civil litigation is fairly low, thanks to Michigan's medical malpractice cap of about $450,000 for punitive damages such as pain and suffering (no such cap exists for economic damages like medical bills, loss of wages and future earnings). Though there could be a joint venture by Fata’s patients to recoup money from his personal earnings, according to Stewart, as of now, that money has been seized by the government. He believes that there are more than 40 civil cases pending against Fata, and that without such group efforts, it may take years before any money is awarded through litigation. In the two years since Fata’s scheme was finally brought to a halt, the government has made earnest attempts to patch up some of the holes that enable medical corruption to fester unnoticed. With the implementation of the Affordable Care Act came the Physician Payments Sunshine Act in 2014, which requires drug and medical product manufacturers who are reimbursed by federal healthcare programs like Medicare to report any financial payments or services they provide physicians and teaching hospitals. It's a valuable resource that allows everyone, patients included, to look in and determine if a doctor or hospital is beset by potential conflicts of interest, according to Evans. But most think much more is needed. McKeen said that removing punitive damage caps and allowing for more transparency during internal investigations will discourage potential Fatas from stepping over the line. Swantek believes that there has to be more dedicated manpower devoted to these investigations. "We shouldn't rely on the FBI to police our doctors," she said. But any solutions that we come up with will be too late for the several hundred of those who Fata victimized. Even after he’s permanently escorted to prison, their crippled bodily remnants and undignified, agonizing deaths will forever serve as a testament to Fata’s unchecked avarice, and to our institutional failure to prevent it. Asked McKeen, "Where were the checks and balances here?" asks McKeen.